Go here for more about Ronald Reagan. Go here for more about Reagan's Second Inaugural Address. Here is the video clip of Reagan's inauguration. The entire thing is split into seven parts. Scroll down for the transcript. 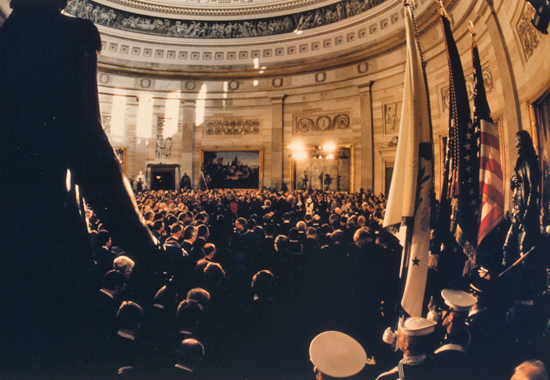 It follows the full text transcript of Ronald Reagan's Second Inaugural Address, delivered in the Rotunda of the U.S. Capitol, Washington D.C. - January 21, 1985. This day has been made brighter with the presence here of one who, for a time, has been absent, Senator John Stennis.